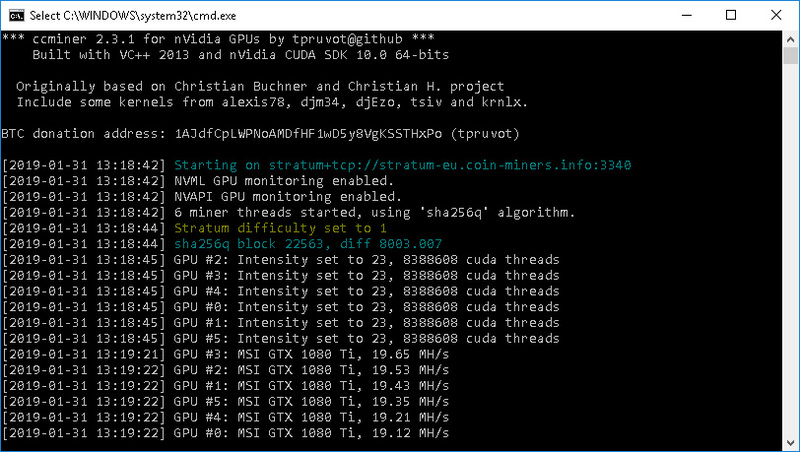 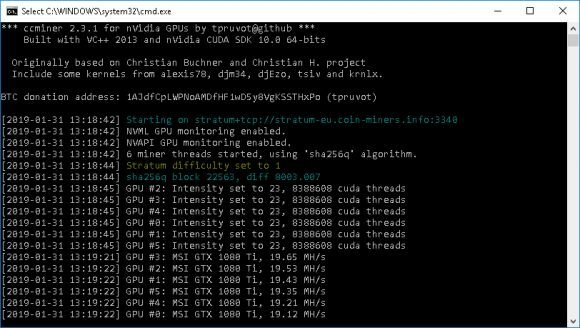 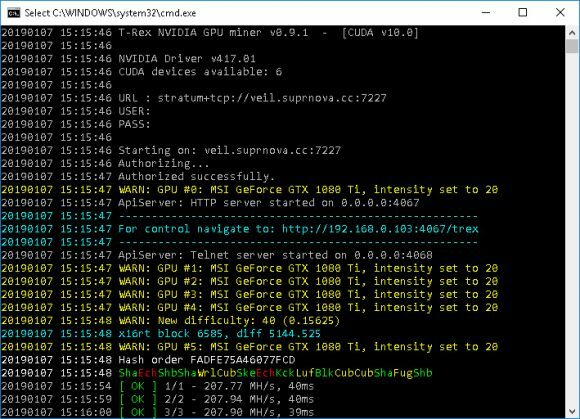 Team Red Miner is a performance optimized cryptocurrency miner for AMD GPUs with support for lyra2rev3, lyra2z, phi2, CryptoNight v8 (CNv2) and CryptoNight R (CNv4) available for both Windows and Linux operating systems. 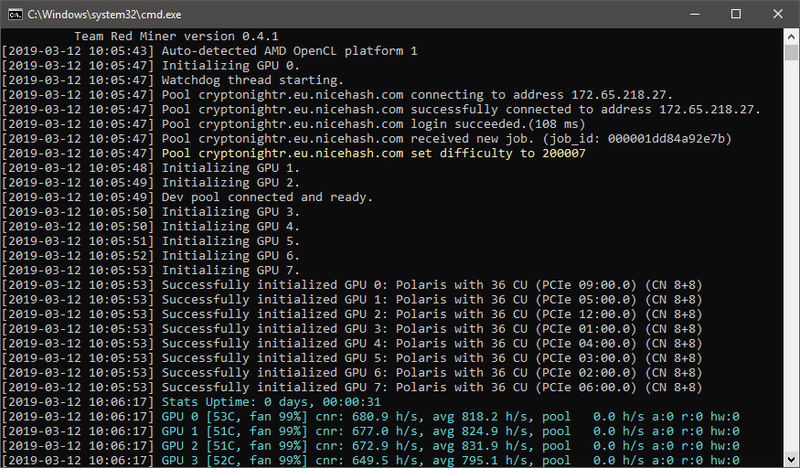 The miner is in beta and is constantly in development, it is a closed source miner with the following developer fees: Cryptonight v8 – 2.5%, Cryptonight R – 2.5%, Lyra2rev3 – 2.5%, Lyra2z – 3%, Phi2 – 3%. 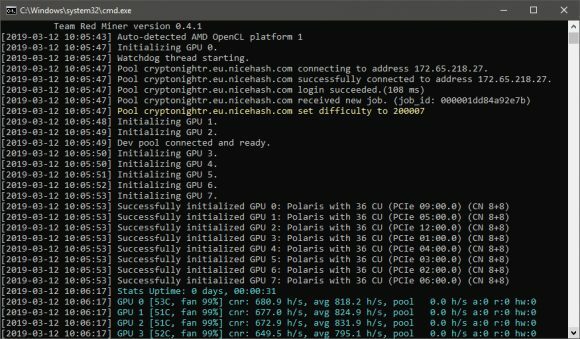 Our tests of the latest release with CryptoNight R support for mining Monero (XMR) after the recent fork are showing that the performance we get on AMD RX 580 8GB is pretty much the same as on other popular miners for AMD like the latest XMR-Stak or SRBminer, though the dev fee on the Team Red Miner is a bit higher.